How does a young man transform from a law-abiding middle-class citizen into a terrorist? Ken Ballen, a former federal prosecutor, spent five years trying to find answers to that question. "Terrorists in Love" examines why young people got involved in radicalism and then - for many of them - how they left. The result is a book called, "Terrorists in Love: The Real Lives of Islamic Radicals." 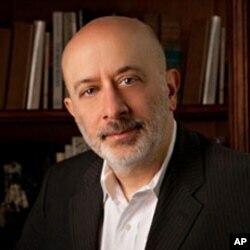 It started as a research project, says Ballen, founder and president of Terror-Free Tomorrow. When his group conducted public opinion polls across the Muslim world, Ballen traveled extensively and had a chance to meet young radicals. Out of 100 or so radicals he interviewed, Ballen focused on six in his book. 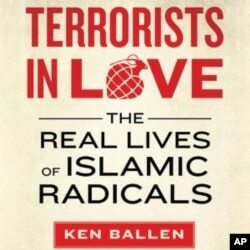 What ties the stories together, Ballen says, is reflected in the book’s title, "Terrorists in Love." Author Ken Ballen traveled extensively, meeting with young radicals. One of them is Abdullah Al Gilani. His story is subtitled 'Jihadi Romeo and Juliet.' The young Saudi fell in love with a woman named Mariam, but couldn’t marry her. 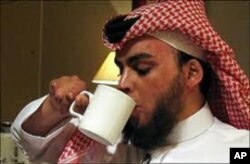 Ahmad Alshayea is another Saudi Jihadist who went to Iraq. The young man’s troubled relationship with his father contributed to his decision to leave his family and country, according to Ballen, who interviewed Ahmed in Saudi Arabia at a facility where former jihadists are rehabilitated. Ahmad Alshayea says being nursed back to health by a female US Army medic after surviving a suicide attack changed his radical views. Ahmad was captured and brought to Abu Ghreib after surviving a suicide attack. He was never told he was going on a suicide mission. He and two other jihadists were to drop off a booby-trapped tanker truck. But his companions jumped out of the vehicle just before it reached a concrete roadblock and exploded, killing eight people and severely injuring Ahmed. In the book, Ballen describes Ahmed’s inner thoughts after he's taken to Abu Ghreib. That experience, Ballen says, gave Ahmad a new mission and he now warns people his age against following the path he chose. Other young people profiled in Ballen’s book include Malik, a spiritual adviser of Taliban leader Mullah Omar, and Zeddy, the professional Pakistani warrior who discovered that a religious Jihadi group could be just as corrupt as any other organization. The author says to fight terrorism, we have to understand who these people are and how they think. That, Ballen says, is why he wrote "Terrorists in Love," to share with his readers the stories they seldom hear about terrorism and those who carry it out.